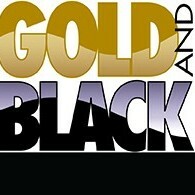 Dear friends of Gold and Black! Thank you for visiting our fundraising page and for all the support to date...Cancer touches just about everyone. And in some small or large way, we hope you will join us in helping fight this disease with the great research being done right here at Purdue. If you can't make the race on Saturday, April 16, please consider a donation. It's in honor of the one's we have lost like Eugene Parker, Tom Reiter, Lisa Warren and so many more...and to our cancer survivors like Amy Karpick, Terry Kix, Cuonzo Martin and fighters like Dan Scheeres and Lynn Clark; just to name a few. You can help us make a difference by supporting the Purdue Center for Cancer Research.